Here Come The Octonauts DVD Just $2.43! Down From $14! You are here: Home / Great Deals / Here Come The Octonauts DVD Just $2.43! Down From $14! 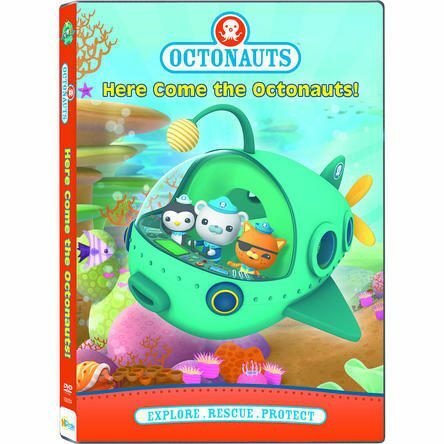 Sears has this Here Come The Octonauts DVD on sale for $2.43 (Reg. $13.97)! Dive into adventure with your favorite underwater explorers, the Octonauts! Join brave Captain Barnacles, daredevil ex-pirate Kwazii, and medic Peso Penguin, along with the other Octonauts as they explore the world’s oceans, rescue the creatures who live there, and protect their habitats above and below the waves! On this exciting DVD, Captain Barnacles tangles with a Colossal Squid who has his hooks in the Octopod, Peso babysits a bunch of penguin chicks stuck in a blizzard, Kwazii has a shocking encounter with an Electric Torpedo Ray, and much more!